If you have been following politics in the Silicon Valley, you will know about Congress Member Mike Honda. Honda has represented California's 17th Congressional District in the Congress since 2001. The 17th Congressional District includes all or part of Santa Clara, San Jose, Cupertino, Sunnyvale, Fremont, Milpitas, and Newark. It is, in other words, a Congressional District that is at the very heart of the Silicon Valley. Honda is a member of the Democratic Party, and has done a workmanlike job for voters in what is the only Asian American-majority district in the continental United States. In this November's election, Honda was replaced by Ro Khanna, also a Democrat. Reliable, hard working, and well-liked incumbents (like Honda) are not usually replaced by someone from their own party. Recent changes in California's election laws have made this a bit easier, since the "Top Two" system, in a heavily Democratic District like the 17th Congressional District, will now usually pit two Democrats against each other in the general election, giving non-Democratic Party voters an increased chance to decide which Democrat will represent the District. Running against a Republican, Honda would almost certainly have won handily. Running against another Democrat, Honda lost with about 40% of the vote, to Khanna's 60%. At the time Khanna first challenged Honda, in 2014 (unsuccessfully that time), CNN reported on the Honda-Khanna race under the following headline: "Can Silicon Valley Disrupt The Democratic Party?" The headline echoed Khanna's comment in the article. He was quoted as saying, "we have to disrupt the system." 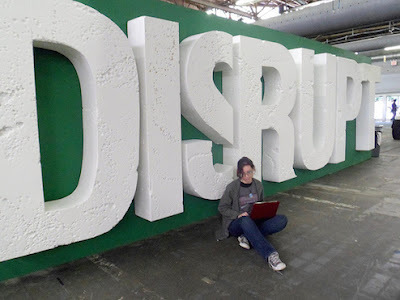 "Disruption" is, in many ways, what the Silicon Valley thinks life should be all about. I have complained about this before. The Silicon Valley idea that "disruption" is per se desirable, and that "disruption" should be an end in and of itself, is quite ill-considered. Experience has always taught us that stability and certainty should be the "base case." If our traditional value system is going to be turned on its head, and the values of stability and certainty are to be rejected in favor of "disruption" as an always desirable objective, the only logical basis for such a preference would be proof that "newer" is always "better." That is a proposition that strikes me as implausible, but maybe we ought to ask the question, "better for whom?" Driving taxi companies out of business, and putting taxi drivers out on the street, is certainly not good news for the taxi drivers, but venture capitalists make massive profits from just this sort of "disruption." Disruption works for the wealthy, at least if we use Silicon Valley as the measure. How is it going to work for politics? They’re always talking about how they’re going to “disrupt” things when really all they are doing is ordering lunch from Seamless or something. But they are at their very super duper exxxxtreme worst when they decide to take their thought leadering disruption making brains and run for office. Exhibit eleventy: “tech evangelist” Ro Khanna, who is primarying incumbent Democratic Representative Mike Honda in, of course, Silicon Valley. [Disruption] is not a platform ... People can disrupt your face by punching it, but that does not make it a desirable course of action, particularly for your face. Indeed, it doesn’t appear that Khanna has any particular reason to want to be in Congress except that he wants to be in Congress, which is also ... not a platform. The biggest "disruption" in politics this year, of course, was not the defeat of Mike Honda by Ro Khanna. The biggest disruption to our politics occurred in our presidential race. I think we all should ask ourselves whether the spirit of the Silicon Valley - disruption will be good for us - didn't, in fact, give us Donald Trump as our next president. I kind of think it did. As least as measured by electoral votes, our nation voted for the less-experienced, less-qualified, and most emotionally unsuitable candidate, but certainly the candidate who we knew would be the most "disruptive." Hey, disruption; that's a good thing, right? That seems to be the question we asked, and collectively, we went for "disruption." I guess we are going to find out whether the political disruption we chose in November is going to "make American great again," or whether it's going to be like that punch in the face that snipy is talking about.